Agar.io: can the Play Store’s top game continue to grow? 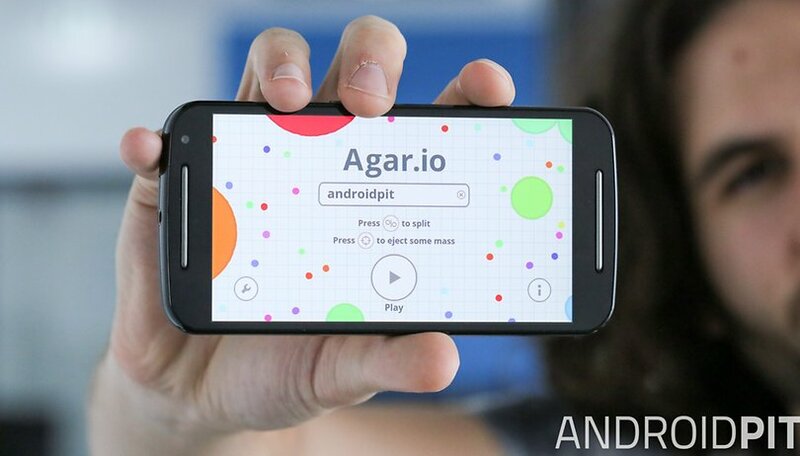 You may have seen the Agar.io app doing the rounds in the Play Store. That’s because it grew rapidly, not entirely unlike one of its players. Agar.io is a massively multiplayer top-down 'action' game in which you play as a cell trying to grow into something huge. To do so, you can consume small, stationary food pellets or other human players who are smaller than you. It’s this threat of other, larger, player-controlled cells, and your own power to gorge on others, that has kept players hooked since its release in April. I recently interviewed Sergio Varanda, head of mobile at Miniclip (Agar.io's publisher), to ask about Agar.io and the challenges of porting it from the web version. “When we set out to publish the official Agar.io app for mobile, we wanted to recreate the gaming experience players already knew and loved on web,” Varanda said. Agar.io had already found success online, but recreating games for use with touchscreen controls was always a challenge. Thankfully it seems to have paid off and Agar.io later became the number one app – not just game – in the US, UK and 32 other countries. But staying at the top is hard and since my first contact with Varanda, Agar.io has already dropped to position seven in the overall US charts and five in the UK. But what did Varanda have to say about Agar.io’s longevity? It seems that Agar.io's rogue-like sensibilities have aided its continued success. Varanda noted that while luck played a part, players were inventing elaborate strategies to take the top leaderboard position in-game, with the community taking to Reddit, Twitch and YouTube to talk about it. Those within the community will already know about ways in which you can re-skin your 'cell' or avatar, and I wondered if this potential for brand-promotion would be taken advantage of. After all, these large cells have already become huge travelling ads for properties like Facebook and Steam. Varanda said this wasn’t something that Miniclip was looking at currently. But what about microtransactions, often cited as the barrier between high-quality gaming experiences on mobile platforms? “We don’t have any concrete plans that we can share at the moment,” he said, from which we can deduce that it could be in the pipeline. Judging by Agar.io’s lo-fi indie style, however, and the communities in which it has been successful, I would rule out any 'pay-to-win' in-app purchasing schemes. It's more likely that any future microtransactions would revolve around Agar.io’s aesthetics (such as more customizable avatars). This is just speculation, but for a game that has thrived on strategy discussions and 'let's plays', it seems that a payment system that unfairly benefited a user’s abilities would remove one of its core strengths. “Of course, we’ll be doing all we can to make sure Agar.io players keep loving the game," said Varanda. "We plan to keep updating the game and to introduce new features based on the feedback we receive. We want to ensure Agar.io stays awesome and engaging." We'll have to wait to see if Agar.io continues to grow – or whether it gets swallowed by the competition. Have you been playing Agar.io? What’s your best tip? Let us know in the comments below.